Simon met his teacher for the first time on Friday. He took to her right away and she took to him as well. It was so cute to see them interact together. Pablo and I teared up. My boy is so big now and I hope he loves school as much as Isabella (who is still so happy to be back at school). 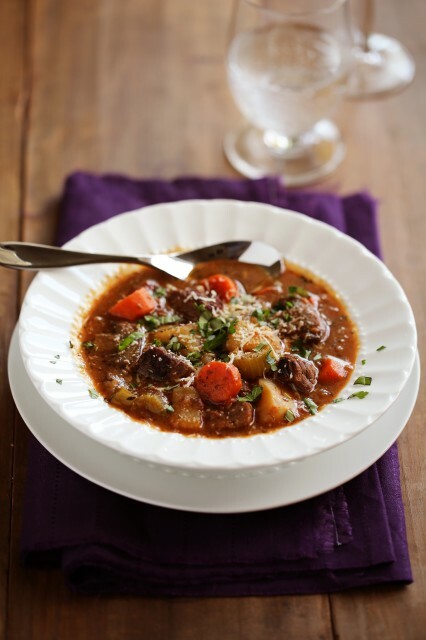 Made some yummy meals this week starting with this Italian beef stew. The weather is getting a bit cooler now (crap) so I had some comfort food on the brain. This was delish (I subbed the mushrooms for peas as I despise mushrooms). The kids always love a good stew. 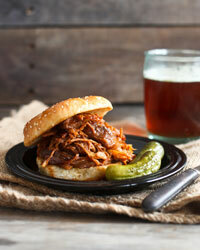 Had a pulled pork craving so made this slow cooker barbecued pulled pork on the weekend. It was heavenly. 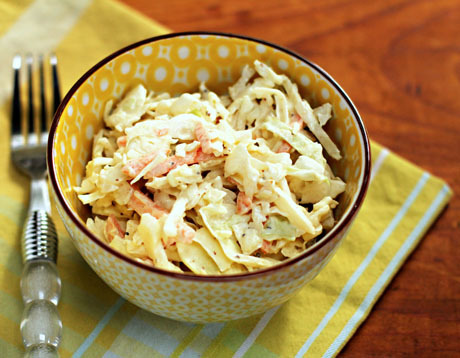 I paired it with some creamy coleslaw and we pigged out. 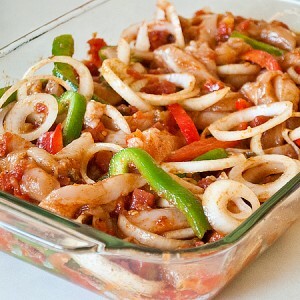 I needed a quick meal during the week so I made Isabella's fav again: oven baked chicken fajitas. Quick, easy, delicious. 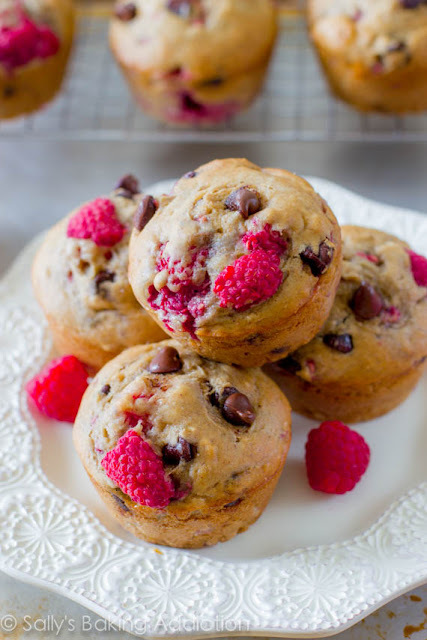 Need another batch of muffins again so I am trying a variation of last week's blueberry muffins: raspberry chocolate chip banana muffins.